January 25, 2017 (Santee) – County Supervisors have unanimously approved plans to build new county offices on Mission Gorge Road in Santee, near the Edgemoor skilled nursing facility. June 19, 2016 (San Diego’s East County) – Across the region, record temperatures were reached during today’s scorching heat. So how hot was it? Update April 23, 2016: County staff has responded to ECM questions on this issue. View their response here. Photo, left: Elaine Lyttle, Hatfield Creek Winery & Vineyard, says the county's "priorites are wrong" and faults excessive regulations for stifling her award-winning winery in Ramona. April 20,2016 (Ramona) – Leaders in Ramona’s burgeoning wine industry warn in correspondence to Supervisors that Ramona’s wine industry could die on the vine as a result of changes proposed to the County’s Boutique and Small Wineries Regulations. The changes are set for hearing by Supervisors on Wednesday, April 27 at 9 a.m. at the County Administration Center (Room310, 1600 Pacific Highway, San Diego). View agenda and hearing announcement. Two versions of the ordinance will be up for consideration, one approved by the Planning Commission, the other a recommendation by staff of Planning & Development Services. One important note: legal challenges may be limited only to issues raised at a public hearing or in written correspondence delivered to the hearing body at or before the hearing, according to the hearing notice. October 8, 2015 (San Diego)--Do you or a loved one have a mental health challenge? Do you have ideas about what behavioral health programs and services are needed in your community? July 26, 2015 (San Diego)--Youth from the County’s Camp Barrett juvenile detention facility in Campo were given a sneak peek into theater production, thanks to a unique partnership between the County's Probation Department, San Diego County Office of Education and the La Jolla Playhouse. Watch how being “zombified” has created a valuable experience for youths looking to start a new life. 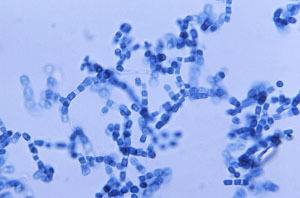 June 21, 2015 (San Diego) – On Friday, San Diego County, Imperial County, the state of Baja California and two non-profit organizations signed a memorandum agreeing to continue working together to prevent and control the spread of tuberculosis. The signing makes official a years-long collaboration between the five entities. April 30, 2015 (San Diego's East County) - Volunteer with Voices for Children and be the voice for a child. Voices for Children provides more than one-third of local foster children in San Diego County with the caring support of a volunteer Court Appointed Special Advocate (CASA). But there are many more that still need a CASA to speak on their behalf – in the courtroom, classroom, and community – to ensure their needs are met. Our information session event provides the community with an opportunity to learn more about Voices for Children and the CASA program. TAKE OUR POLL: SHOULD AMBULANCE RESPONSE TIMES IN EAST COUNTY BE IMPROVED? March 29, 2015 (San Diego)--San Diego County only requires that ambulances response within 30 minutes in rural areas, unlike urban areas where the limit is 10 minutes. The American Heart Association reports that brain death and permanent death start to occur in 4–6 minutes after someone experiences cardiac arrest. The County's response time requirements are far too long for a heart attack patient to survive without brain damage. In addition, these times mean it sometimes takes more than the "golden hour" to reach a hospital following a trauma, stroke or other medical emergency, the time frame that medical experts recommend for saving lives. Take our Poll: Should San Diego County require faster ambulance response than the 30 minutes currently required in rural areas? Read more about TAKE OUR POLL: SHOULD AMBULANCE RESPONSE TIMES IN EAST COUNTY BE IMPROVED? SAN DIEGO IS 5TH MOST POPULOUS COUNTY IN U.S.
March 26, 2015 (San Diego)--If you think San Diego is having some growing pains, you may be right. The Census Bureau’s numbers are in, and San Diego County is now the fifth most populous county in the nation. Read more about SAN DIEGO IS 5TH MOST POPULOUS COUNTY IN U.S.
March 22, 2015 (San Diego’s East County) – What if you had a medical emergency and the nearest ambulance had to come from Imperial County or other distant places up to an hour away? That’s the very real prospect facing rural East County residents under a stealth change in ambulance service approved by a county bureaucrat with no public notice, no hearing, and no vote by the Supervisors. While some aspects of coverage stand to improve under the contract, adding more in-district ambulances and newer equipment, there are some major concerns raised by local safety advocates with regard to mutual aid and staffing. SUPERVISOR HORN: 2015 WILL BE "YEAR OF THE VETERAN"
February 19, 2015 (San Diego)—Supervisor Bill Horn, Chairman of the San Diego County Board of Supervisors, declared 2015 the “year of the veteran” in his state of the county speech last week. An ex-Marine Corps officer and veteran, Horn said programs will be ramped up and new programs rolled out in the coming year. One is the Vet Connect program being rolled out East County libraries, prompted by an East County Magazine special report that found a lack of veterans’ services in rural areas. Read more about SUPERVISOR HORN: 2015 WILL BE "YEAR OF THE VETERAN"
February 7, 2015 (San Diego) – The second annual State of Farm to School in San Diego County Report reveals growth in farm to school programs bringing healthy produce to area school children – also generating returns for our region’s health and economy. See our earlier article on the program’s succe,ss here. Recently we held a radio show on the County's Farm to School task force. We interviewed JuliAnna Arnett Director of Operations & Food Systems for the San Diego County Childhood Obesity Initiative, Community Health Improvement Partners, along with Eric Larson, Executive Director at the San Diego County Farm Bureau,Johnna Jenkins, Director of Child Nutrition at Valley Center-Pauma school district, and Jill Wittenberg, Child Nutrition Director, La Mesa-Spring Valley School District. They shared success stories on how this innovative program is helping farmers and students reap healthy rewards. More participants are sought to meet rising demand for fresh produce in our public schools. December 14, 2014 (San Diego)--It’s the time of year when San Diego County gets most of its rainfall – and this winter it’s more important than ever to take advantage of every drop that Mother Nature delivers to us. October 15, 2014 (Santee)--The Sheriff's Department is looking for horse owners and riders who would like to become members of the Volunteer Mounted Patrol. They conduct patrols on horseback across San Diego County, including the Santee and Lakeside areas. September 7, 2014 (San Diego) – Eighteen local initiatives will appear on ballots in San Diego County, on issues ranging from school bond for funding schools to measures that would legalize medical marijuana dispensaries. 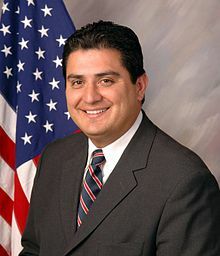 August 23, 2014 (San Diego)--As we reported Friday, State Senator Ben Hueso, a Democrat whose 40th district includes the southern portions of San Diego and East County as well as Imperial and Riverside counties, was arrested for driving under the influence of alcohol in Sacramento. The Senator has issued an apology and will appear in court this week. Adding to Hueso’s woes, the Sacramento Bee has posted a photo showing Hueso partying with the Latino Caucus, shirt tail untucked, shortly before his arrest. It was tweeted by fellow legislator Lorena Gonzalez (D-San Diego), who later deleted the image. A reporter at the Sacramento Bee also reportedly received an audio file purporting to be loud singing on a capitol balcony during the evening revelry. Will Senator Hueso’s arrest for driving under the influence of alcohol spell the end of his political future? Not necessarily, based on an examination of records of prior legislators faced with similar charges. August 20, 2014 (San Diego’s East County)—A 20-acre wildland fire on the border caused by target shooting last weekend has prompted CAL-Fire to issue a stern warning: shooting on state lands during these extreme drought conditions is prohibited—and if you start a fire, you can be held liable for firefighting costs. August 6, 2014 (San Diego) – It’s back to school time—and Check Center locations around San Diego County will give away free backpacks and school supplies to the first 250 children who stop by on Saturday, August 9 from 11 a.m. to 3 p.m. This includes an East County location at 1090 East Main Street, Suite 103 in El Cajon. Update July 30, 2014: By a 5-0 vote, Supervisors adopted the feral pig eradication plan to trap and shoot wild pigs across our region. July 29, 2014 (San Diego’s East County)--They wallow in waterways and root up sensitive habitat. They breed prolifically—and they eat almost anything—from acorns to small animals—even goats with horns! Those portly porkers – feral pigs in East County’s backcountry—can weigh up to 250 pounds. The largest wild pig caught anywhere--a gargantuan specimen dubbed "Hogzilla," tipped the scales at over 800 pounds. Feral pigs are descendants of domestic pigs run wild and European boars brought over by Spaniards in the 1700s. Locally, San Diego's pig population has been around since only around 2006. We don't know how they got here. One rumor is that hunters released a few pigs as game animals. Another theory is that the pigs migrated in from elsewhere in California or Mexico. However they came, they've found fertile ground locally, where the number of wild pigs is now estimated at over a thousand. Hunting wild pigs is legal in California on private property and tribal lands – though not in our region's parks, preserves, or wilderness areas. But bringing home the bacon isn’t as easy as it sounds.